Posted May 15, 2018 by Eds. This is the second part of the two-part series marking the 200th birth anniversary of Karl Marx. Read the first part of the series here. Did Maulana Bhashani—the famous Red Maulana—ever read Marx? I recently asked this question to a prominent biographer of Bhashani—Syed Abul Maksud. His answer was, “Probably not.” But in his recently published book on Bhashani, he points out that Bhashani often asked Marxist economist Akhlaqur Rahman about different aspects of modern economics (this story goes back to the late 1940s). Professor Rahman spent many nights tutoring Maulana on the subject and the latter listened “like an obedient pupil.” One could plausibly assume that given the socialist leanings of both, Marx and Marxian economics were invariably covered in the tutorial sessions. Marx surely had some inputs in Maulana’s variant of socialism that was also informed by Islamic sense of justice. Fast forward to independent Bangladesh: The esteemed Professor Akhlaqur Rahman, Marx’s “interlocutor” for Maulana Bhashani, was more of a politically engaged theorist rather than an armchair Marxist academic. His most notable intervention in radical politics was the drafting of the polemical document (in 1974) for Jatiya Samajtantrik Dal (JSD), which essentially argued that the capitalist mode of production (a Marxist jargon describing the nature of the economic system) has matured in the Bangladesh agrarian sector. Socialist parties needed to determine this to identify the class structure of the society to set their rono niti (war strategy). By declaring the agrarian sector capitalist he took an iconoclastic position since the prevailing consensus among the left (mostly underground) at that time was that the agrarian sector was dominated by various types of pre-capitalist modes of production. It was highly risky for him to go against the grain since clashes of opinions could potentially lead to one’s death—a culture that existed within the underground left during the ’70s. With the decline of JSD in the ’80s he settled down as a teacher in a prominent public university with the noble pursuit of teaching Marxian economics. For this, he wrote a textbook on Marxian economics in Bengali (first published in 1987). 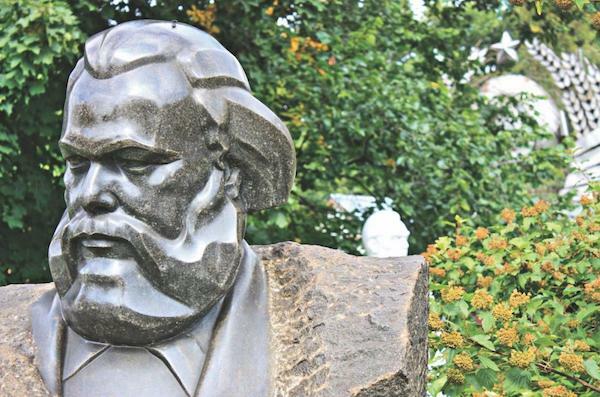 In the introduction of the book, he echoed Reboti Barman—“content [of Marxist economics] is such that it is extremely difficult to make it easier to comprehend”—a perennial problem besetting Marxist practitioners. Professor Rahman also noted in the introduction that he tried his best to make the text reader-friendly, but with all due respect to him, I must confess that I found his prose denser and much more complex than the ones written by Reboti Barman. Another legendary Marxist professor was Abu Mahmud, an economist revered by a host of left politicians, particularly of the Maoist variant, as intellectual guide. I met him in the early 1980s and with his encouragement ran a Marxist study circle for about six months in his Fuller Road apartment. It was an unforgettable experience for me. We (about 20-25 young students) used to gather in his “drawing room”, the four walls of which were covered by stacks of books (no less than 2,000). He had the entire collection of Marxism Today—the official organ of the British Communist Party—and many other books (entire series by Eric Hobsbawm, among others) and left journals including Monthly Review—the world-famous Marxist journal. For us, it was manna from heaven (remember these were the pre-internet days). I saw many left leaders and intellectuals visiting him to invite him for delivering lectures on Marx and socialism in various small towns, even villages. Marx indeed had a good time travelling with him in the remote pre-capitalist zones (or were these capitalist?) of the country. I found Professor Mahmud a bit of an “orthodox” Marxist (in the line of British Communist Party of the 1970s) and he used to disparage the New Left that emerged in Europe and US in the late ’60s. I remember lending him a book by the doyen of British New Left—Perry Anderson. It was Lineage of the Absolutist State—a masterpiece of Marxist historiography. Professor Mahmud, to my surprise, was deeply impressed by it. At that moment I realised that his disliking of the New Left was perhaps based on hearsay rather than actual reading of their works. Professor Mahmud wrote journalistic articles on Marxist analysis of Bangladesh political economy that was serialised in the left weekly Holiday. He also produced a couple of Marxist books but these again were mainly popular and polemical in nature. To the best of my knowledge, both Professors Rahman and Mahmud did not attempt to produce any rigorous Marxist academic analysis of Bangladesh. Such Marxist academic analysis came, for the first time in independent Bangladesh, from a most unlikely site of knowledge production: the government-owned think tank called Bangladesh Institute of Development Studies, popularly known as BIDS. In 1972, Abu Abdullah, a young research economist at the BIDS, wrote a Marxist academic analysis of the nationalist movement that led to the independence of Bangladesh. To the best of my knowledge, this article, entitled “The Class Bases of Nationalism: Pakistan and Bangladesh,” is the first ever Marxist academic work written on Bangladesh by a Bangladeshi. Abdullah, a scholar with a razor sharp intellect and possibly one of the finest minds of his generation, also pioneered theoretically sophisticated Marxist analysis of the political economy of rural development and agrarian economy of Bangladesh in the later part of the ’70s. His (as lead author) devastating and analytically sharp intellectual assault on the influential Comilla Model (pioneered by Akhtar Hameed Khan and globally promoted by the western governments and academia) of rural development, aimed to puncture the comforting myth that the model represented neither capitalism nor socialism but a “third cooperative way” and should be replicated nationwide (remember this was the period of Cold War with socialist agrarian revolutions cropping up all around and with the recent memories of Naxalite movement in the neighborhood). Abdullah’s conclusion was: Comilla Model was destined to develop “cooperative capitalism” in agriculture and he endorsed such development and cited Lenin in support of his argument—“[cooperative capitalism]…is a variety of state capitalism and as such is advantageous and useful for us at the present time…” In personal conversations (in the early and late ’80s) he told me that he was a great believer of the modernising and progressive role of the bourgeoisie in Bangladesh, and in contrast to dependency theorists (who argued local “comprador” bourgeoisie are hopelessly dependent on, and are just agents of, foreign capital and have little role to play in national industrialisation), he believed the country will experience capitalist industrial development in the decades ahead—a view that had a very few supporters among the progressive academics/intellectuals of the country during the ’70s and ’80s. And, perhaps, thanks to Abu Abdullah, BIDS library subscribed to various New Left journals, including the world-famous New Left Review and other journals such as Review of Radical Political Economics, Capital and Class and a few more. I remember spending countless hours in the library feasting on these. The person who can be credited for publishing the first book-length academic Marxist analysis of Bangladesh’s political economy is Muhiuddin Alamgir, again an economist at BIDS at that time. His book titled Bangladesh: a case of below poverty level equilibrium trap (1978, BIDS), is empirically very rich and deployed complex bundle of Marxist and neo-Marxist theories with an icing of Maoism, (not sure all these gelled very well). He writes, “…it can be stated that the situation in a country like Bangladesh cannot possibly improve until an end is brought to the dominance of the comprador bourgeoisie and other classes representing basically semi-feudal/semi-colonial interests”—a view in sharp contrast to the optimism of Abu Abdullah as noted above. From our privileged historical hindsight (in 2018) we can reasonably argue that Abdullah has proven to be prophetic (our patrimonial plundering capitalism is still capitalism). To continue with the BIDS Marxist saga, one cannot avoid mentioning of the big tome entitled Public Enterprise in an Intermediate Regime published by BIDS in 1980. The two authors were Professors Rehman Sobhan (Research Director of BIDS at that time) and Muzaffar Ahmad (Director, IBA, Dhaka University, at that time). Marx became relevant for the theoretical approach of the book through an interlocutor—the famous Polish Neo-Marxist Michal Kalecki. The authors used his theory of “intermediate regime” (state captured by a coalition of petty bourgeois and rich farmers). The book is a fascinating class analytic political economy account of the failure of the regime in the early ’70s to manage public enterprises in an efficient and transparent manner but also covered the whole gamut of the political economy of that period. Professor Sobhan continued to explore “the contradictions of the Bangladeshi bourgeoisie” in his subsequent works. In parallel, a major focus of his research during the ’80s and ’90s was on western donors’ pernicious influences on the national economy that implicitly deployed analytical assumptions of Neo-Marxist theories of Andre Gunder Frank and Fernando Cardoso (these two were famous for formulating dependency theories as defined earlier). Throughout their academic lives Professors Sobhan and Ahmad passionately advocated for economic democracy (public ownership, cooperatives, etc)—a core element in Marx’s economic thought. Marxist political anthropologist Professor BK Jahangir’s most prominent study (published in the mid-80s) attempted to show the nature of evolution of capitalist mode of production in the agriculture of Bangladesh with attendant development of polarisation and differentiation of the peasantry (we may find it quaint in 2018 but such intellectual exploration was a big deal for the Marxist academics in the ’80s). His biggest contribution was the establishment of a Marxist/Left research centre within Dhaka University (ran for about 12-15 years in the campus), which published journals and books that prioritised rigorous Marxist/radical intellectualism and nurtured new generations of radical academics. How did Marx fare with the peasants and their organisers in rural Bangladesh? I was very privileged to experience a peasant rally, organised by a communist organisation, in a remote village in Pabna in 1980. During the discussion sessions I sat with the audience (all peasants) to listen to the leaders’ speeches covering strategies, tactics and principles of peasant movements. The speakers included, among others, two eminent Marxist political leaders—the most revered revolutionary theoretician Badruddin Umar and an eminent trade union leader of the ’80s, Daktar Saifuddahar. The speakers sincerely tried to present simple versions of various theories/analyses of Marx, Lenin and Mao on relevant issues, many of which were obviously quite abstract to a largely non-literate crowd. The audience kept quiet and patiently focused on the speeches. It was bit of a surreal experience for me. I still regret the fact that I didn’t conduct a quick survey among the audience to find out their opinions about the speeches they heard. I now wonder what Poet Nazrul or Maulana Bhashani would have done in such a situation. During the session breaks I chatted with a few peasant leaders. One of them proudly declared that their leaders—Badruddin Umar and Saifuddahar—are the only Marxists in Bangladesh who have actually read three volumes of Marx’s Capital and have understood it. I have emphasised the word “understood” since he did the same when he spoke. I totally concur with the peasant leader that it is a commendable feat on anybody’s part to understand such notoriously difficult works of Marx and I can clearly see comrade Reboti Barman and Professor Akhlaqur Rahman vigorously nodding their heads in agreement. On my way back from the village, I fortunately bumped into another legendary peasant leader Tipu Biswas, who was participating in another peasant rally near Pabna city. I asked him about the economic and social conditions of the peasantry in his areas of operations and what political strategies he thought would be appropriate to mobilise them. In our discussions the name of Mao came quite often, Lenin and Charu Majumdar a few times but never Marx. I thought perhaps he found Marx’s ideas too abstract and irrelevant to explain to me the conditions of the peasantries in his areas and for the political strategies that he would like to devise. During my undergraduate years I had the opportunity to closely study polemical documents of the underground left parties of Bangladesh that operated in the ’70s. Sensing my leftist inclinations, my professor asked me to review such documents as a part of tutorial assignment. I managed to read about 40 documents. Karl Marx hardly showed up in these—being effectively elbowed out by the likes of Mao, Charu Majumdar and Stalin. I have not been a close observer of Marxist intellectualism in Bangladesh in recent years. But to keep abreast with the development in this area I read at least one journal—Notun Diganta (New Horizon, edited by Professor Sirajul Islam Chowdhury)—and one magazine—Shorbojon Katha (Public Voice, edited by Professor Anu Muhammad). The editors—two eminent Marxist public intellectuals of Bangladesh—deserve our deepest appreciation for keeping the Marxist discourse alive in an increasingly challenging political and ideological environment.